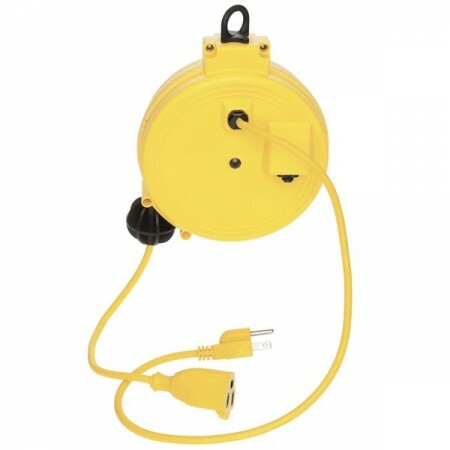 This OSHA NRTL Compliant Retractable Cord Reel has a 20' 18/3 SJT Cord. It has a single grounded outlet, so putting power where its needed is quick and easy. The reel has an integrated 7 amp circuit breaker built right into the housing. Includes mounting brackets that allow it to be attached to the wall or ceiling.